Ayush Poojari (Bollywood Background Performer), Mumbai was started by Ayush Poojari who is a dancer himself. They are a group of dancers who also work as choreographers for various events like sangeet, school annual day, etc. By having Ayush Poojari (Bollywood Background Performer), Mumbai on your big day they will make sure you have a great time and enjoy the dance set by them. Performed in Bollywood Movie Songs, Award Function, Reality Shows, Dancing Shows, and 50+ Wedding Choreography's including Destination weddings. 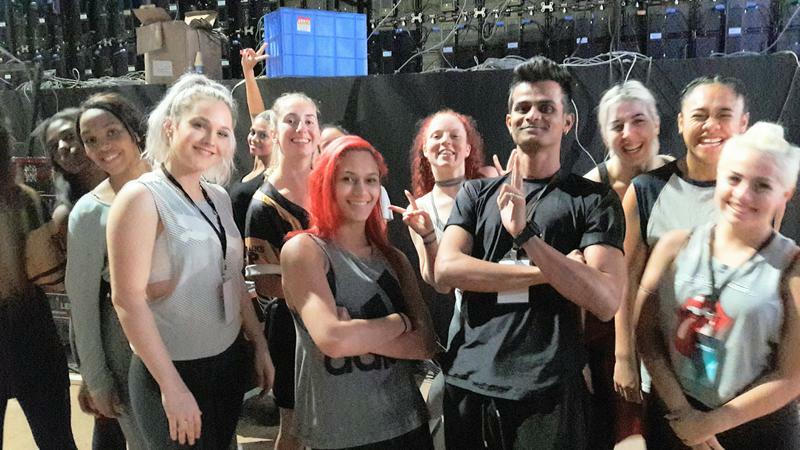 Professionally learned Hip Hop, Bollywood, Contemporary. Know how to Direct and shoot and edit professional Movies. Ayush Poojari (Bollywood Background Performer) is a choreographer based out of Mumbai . Ayush Poojari (Bollywood Background Performer)'s telephone number is 76-66-77-88-99, Ayush Poojari (Bollywood Background Performer) website address is https://m.youtube.com/channel/UCLAakwUm5YWf-YFmjdKRwhQ, Facebook page is Ayush Poojari (Bollywood Background Performer) and address is Mumbai. In terms of pricing Ayush Poojari (Bollywood Background Performer) offers various packages starting at Rs 10000/-. There are 0 albums here at Weddingz -- suggest you have a look. Call weddingz.in to book Ayush Poojari (Bollywood Background Performer) at guaranteed prices and with peace of mind.